For immediate release, Thursday 28 November, 2013. BANGKOK — Parliamentarians from across Southeast Asia today called on the United Nations and the international community to conduct independent investigations into recent deaths in Cambodia at the hands of state security forces, including the shooting dead of a 29-year-old man at pro-democracy demonstrations in Phnom Penh in September and the killing of a labour protester earlier this month. “The United Nations and the international community must take a stand on these blatant miscarriages of justice. It has been over two months since security forces shot dead Mao Sok Chan and injured others when they opened fire on a crowd of protesters, and the state is clearly not following through with a genuine investigation,” said Kraisak Choonhavan, ASEAN Parliamentarians for Human Rights Vice President. Mao Sok Chan died after being shot in the head on September 15, 2013, at Kbal Thnal Bridge, Phnom Penh. The 29-year-old laborer was caught up in crowds after police set up roadblocks following a day of political protests in the capital when police allegedly fired indiscriminately on commuters, local residents and demonstrators. To date, there has been no credible investigation into the incident. Also, on November 12, one person was killed and eight others injured when security forces in riot gear used tear gas, guns and sticks to break up a strike by garment workers at the Singapore-owned SL Garment Processing (Cambodia) Ltd. 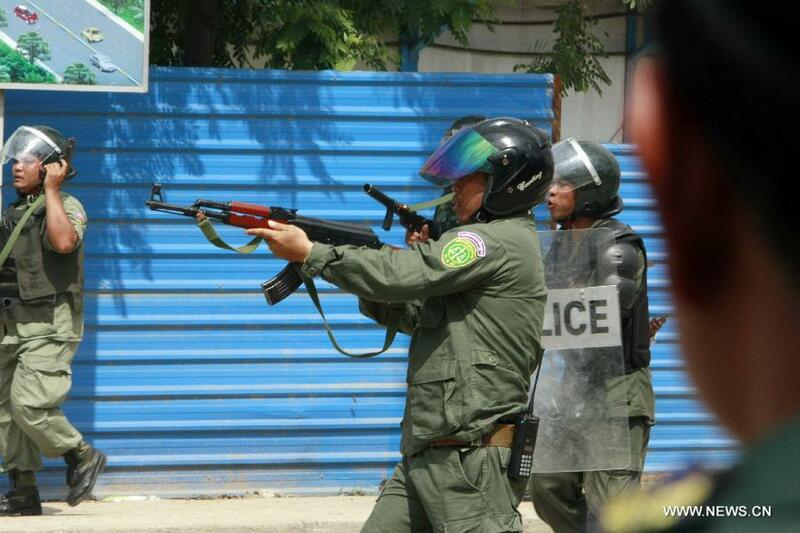 Political tensions in Cambodia have risen since hotly contested national elections on 28 July. 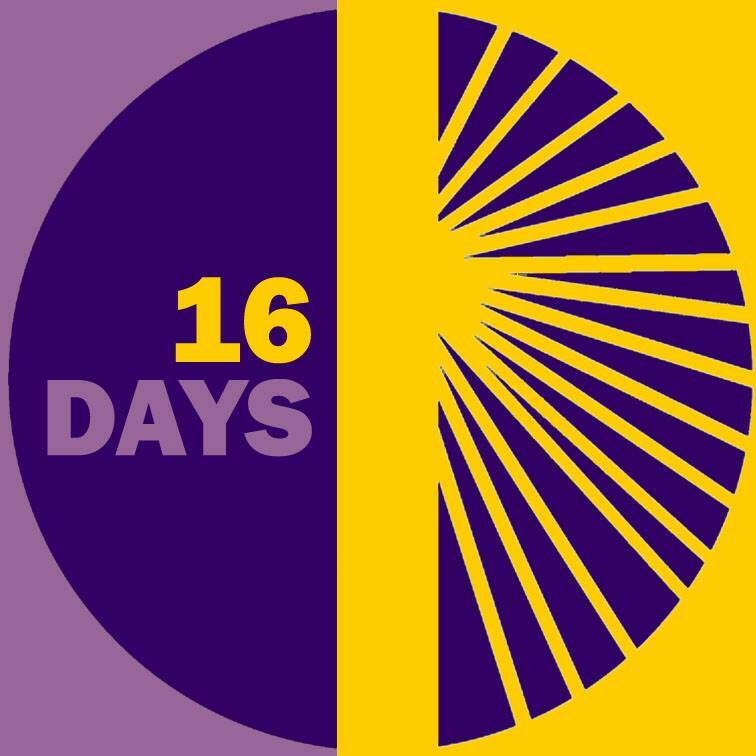 APHR calls on all parties to disavow violence and prioritize human rights and the rule of law as the country seeks to move forward from the current deadlock. As in other countries in the region, the criminal justice system, particularly when it comes to allegations against state actors, continually fails to deliver, APHR said. “Responsibility falls on the government and arms of the justice system to ensure that all acts of political violence will not be tolerated, either by protesters or state security forces,” said Eva Kusuma Sundari, AIPMC President and Indonesian Member of Parliament. Similar failures of the criminal justice system are commonplace in Indonesia and elsewhere in Southeast Asia, APHR said, calling on ASEAN to step up its mandate to ensure peace and stability in the region. “ASEAN must find a way to end violence perpetrated by state apparatuses before entering an integrated economic community,” said Ms. Sundari. The United Nations and the international community have a duty to press governments to uphold international commitments to human rights standards. In lieu of any proper investigation by the Cambodian authorities, the international community, including ASEAN institutions, must help to ensure justice for the victims of state-sponsored violence and apply pressure on the Cambodian government to meet its international responsibilities. According to local human rights observers, there have been ten fatal shootings and eight separate incidents of non-fatal shootings by authorities using excessive force in the past 20 months. Only in one out of the 10 lethal cases has there been what human rights observers agree to be a credible investigation. Many of the families of victims have been offered financial compensation in return for agreement to end legal proceedings against the alleged aggressors. Concerns have been raised that families have been intimidated or coerced into accepting the financial settlements. Moreover, the settlement of a civil dispute does not release prosecutors from their duty to investigate alleged crimes, APHR said. ASEAN Parliamentarians for Human Rights (APHR) is a collective of lawmakers from Southeast Asia working to improve human rights responses and social justice in the region. Mu Sochua: all challenges are opportunities to me. 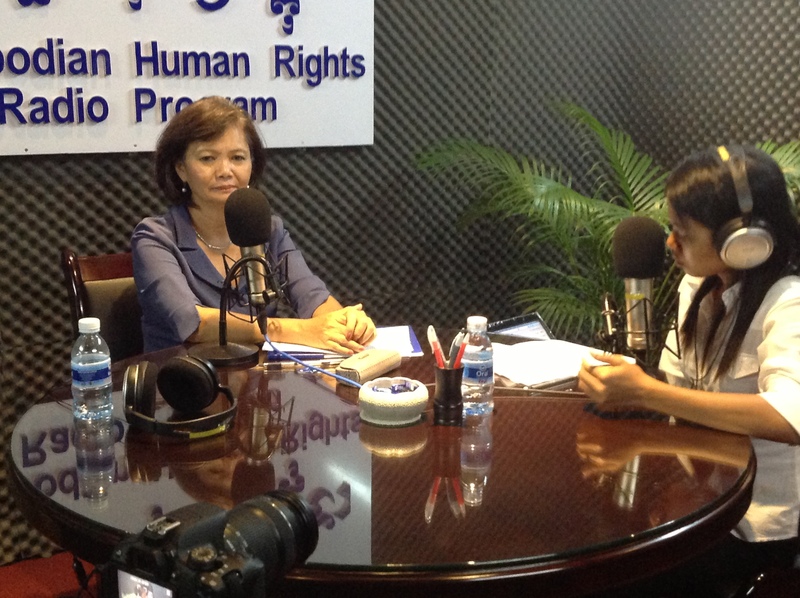 The 2 years I was on trial for a defamation suit against me by the prime minister was for me the best opportunity to talk about the badly needed reforms in the Cambodian justice system. First Lady Hilary Clinton spoke in Beijing, at the Fourth World Conference on Women. I met her and gave her a piece of the cloth woven by women around the world of the project Women Weaving the World Together. Hilary Clinton said at the conference that Women’s Rights Are Human Rights and I knew that in order to claim our rights, we have to be in charge and in positions that can give us the power to make changes for the lives of our women. Upon my return from Beijing, I was asked to be the adviser on women’s affairs to the First Prime Minster of Cambodia and it was my first step into the world of politics. The play SEVEN. I am one of the 7 women and I remember that night when Meryl Streep played one of the 7 women. 1,000 Cambodian women a month will be sent to Singapore as domestic workers and the temporary ban of domestic workers to Malaysia will soon be lifted. 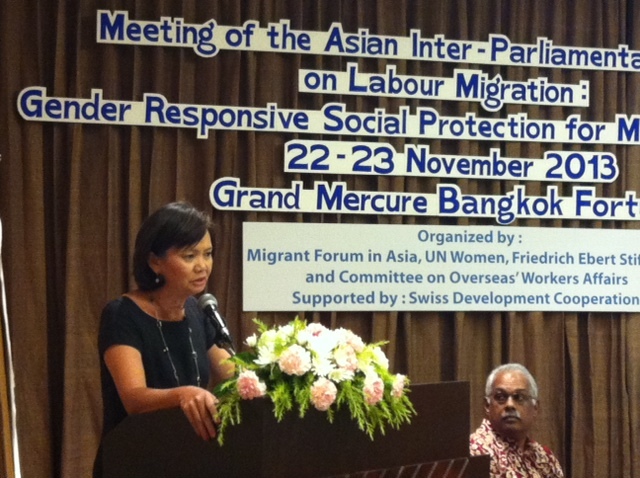 In the meantime mechanisms to ensure protection for the migrant workers are weak and MOUs with the receiving countries are not transparent. The same employment agencies that abused and violated the rights of the trainees reappear with no sanctions. 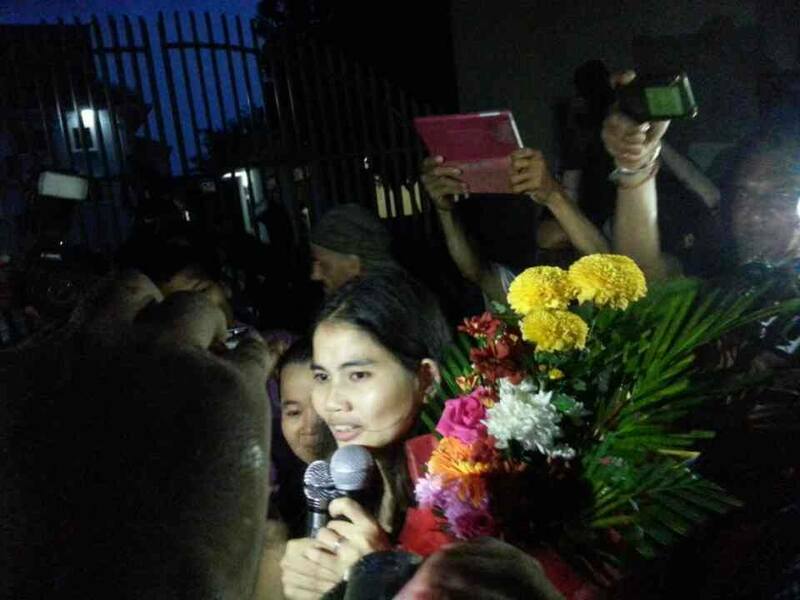 Yorm Bopha is free on bail and back to Appeal Court for retrial. This is a case of half-baked justice as she should not have been arrested in the first place. This is a case that shows democracy is taking roots in Cambodia through grassroots organizing. 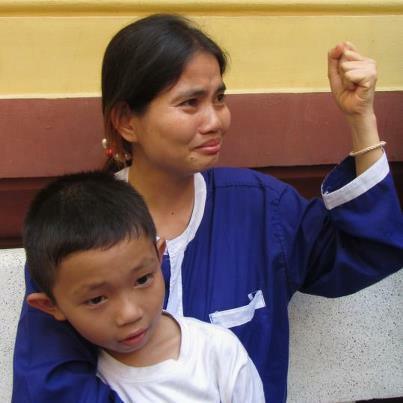 Yorm Bopha, due to appear at Supreme Court on 22 Nov. Her last chance to get justice. Dare we believe in the Cambodian justice system?